What technologies are you using? Our engine is based off the C4 engine by Terathon. We have heavily improved it to match our requirements, such as dynamic terrain, vegetation and weather systems. 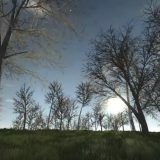 The engine provides great modding support and is easy to use for players and modders. How is Cattle and Crops played? It is our philosophy that the players should be completely free in their style of play. Be it highly realistic or arcade, be it driving the vehicles yourself or managing your staff: You have the choice! Autumn is the best time of the year if you want to spent your time playing computer games. So, we hope that now you spend a lot of time playing computer games. But… There is one more important thing. While you are playging, don‘t miss opportunity to know more about new computer games. One of them is Cattle and Crops. So, let‘s know more about Cattle and Crops. There are lot of things which you must know about about Cattle and Crops. One of them that is a simulation game. 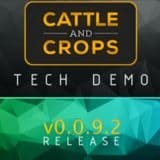 So, if you are a fan of the simulation game, you will like Cattle and Crops. But… We all know that simulation games can be different. So, what of kind is Catlle and Crops game? 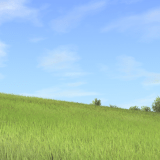 So, what you must know about Cattle and Crops game? This game is about farm. So, there you will find livestock and various plants. You will have the opportunity to grow different crops and livestock. You will have the opportunity to acquire a lot of theoretical knowledge and apply them in a practical way. Ground is a very important element, of this game also. You will know, what type of ground is more suitable for different kind of plants. This game present for you lot of adventures. But the most important new about CnC, is that, you have a chance to use this information in real life. After that, you will achieve a good results in your real own farm. What more you must know about CnC? Own more important fact is that in this game you will find lot of machines. Let‘s discover how useful it can be in your own farm. This game was create with a passion. Now you have a good chanse to feel this passion. Growing of the plants and livestock is a real passion for your life. We all know that natural vegetables, corns and livestock are very useful for our health. But how they grow? You will now it in this game. One more good new about CnC game is that you can play this game with your friends or family members. We all know, that every game is more funniest, when you are playing with someone else. So, this game is suitable for it.